Social activist and Nobel Laureate Kailash Satyarthi's house in Southeast Delhi was burgled and several precious belongings including his Nobel citation were stolen. According to the media reports, the theft was discovered by the staff of the 63-year-old social activist in the morning. Police said they received a call about the alleged theft of the citation along with other things after which they reached the spot to get details of the items stolen. Satyarthi is currently abroad to attend the World Summit of Nobel Peace Laureates in America, police added. An FIR has been registered under section 380, house theft, of the Indian Penal Code. The child rights activist won the Nobel Peace Prize in 2014. He shared the prize with Pakistan's Malala Yousafzai. "All scrap dealers and local criminals from the area have been detained. Fingerprints and other evidences have also been recorded from the spot," said a senior police officer. While the police has launched a manhunt to nab the culprits, Twitter has presented a list of suspects who may have stolen the prestigious award. #KailashSatyarthi's #NobelPrize stolen. Police are now inquiring what Award Wapsi Gang was doing at that time. 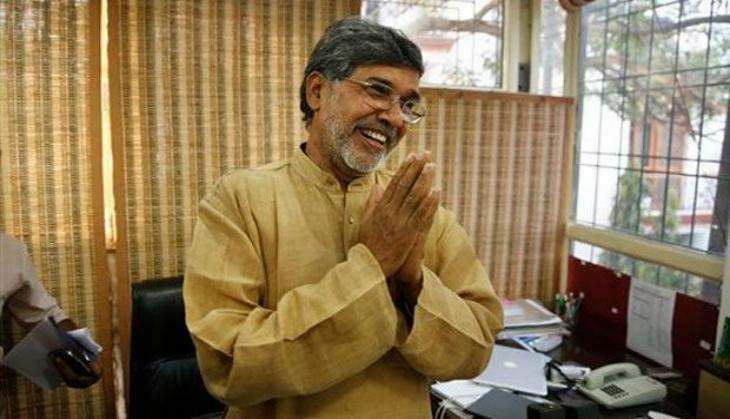 Kailash Satyarthi's Nobel Prize replica stolen. The black market: some idiot is selling a Nobel with "A1 Top Engravers" label at the back.